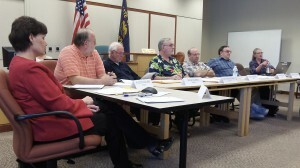 The Albany council at a work session last spring. 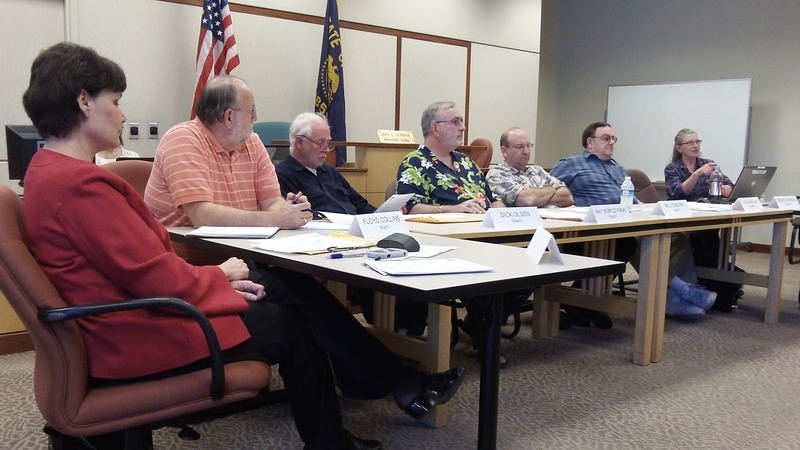 Work sessions are public and usually held at 4 p.m. every other Monday at City Hall. Forget about trying to stimulate public interest in subjects that are inherently boring, such as planning and budgeting, especially since the public has learned from experience that in the modern regulatory state, it has little say about what happens where government is concerned. When something moves individuals or groups enough to get involved, they’ll let you know. We generally want city government to work like a car. The only time we care about the car is when it starts running rough. Your website can be as elaborate and complete as you want but you’re still not going to get many citizens wading through hundreds of online pages of a plan on how to spend federal money on community development. From Helen Burns Sharp (former Albany city planning director), via Facebook: “Planning is inherently boring”? I don’t think so. Have you been to places like Barcelona and Savannah? I wish we would recommit/commit to bold visions and wonderful public spaces that are really important to quality of life (and economic development). From Mary Grace, I agree, Hasso, and neither were the efforts of our folks in Albany city government then. I am sorry to say I just got too tired to even want to volunteer for Albany any more. It is all about personal goals and not the better decisions for the whole city, not just downtown or pet projects. Jim Clausen: The City Council constantly cries “We want public participation” – yet the only people they ever listen to are their “committees” or the corporations seen at meetings pushing for more city, state and federal dollars. They don’t want “participation” what they want is the illusionable lament of “participation.” It’s exactly like their so-called “transparency” — they only allow – or discuss – what they want to be “transparent.” All else is slid under the door at midnight. Mary Grace: Thank you, Jim, for your honest assessment. However, when it comes to voting time, people are so disgusted that they just don’t vote and so our fearless leaders do not get the message. From Councilman Ray Kopczynski: Jim Clausen lamented: “We want public participation” – yet the only people they ever listen to are their ‘committees’ or the corporations seen at meetings pushing for more city, state and federal dollars. They don’t want ‘participation;’ what they want is the illusionable lament of ‘participation. '” That comment following Hasso’s initial “I was the only member of the public there” drips with irony! I do fully agree with his assertion that we do listen to “committees” inasmuch as those are people who have chosen to volunteer and get involved & educated. Simply showing up at a council meeting with an issue will not suffice in my opinion. You need to be working much earlier and farther down the food-chain. Your opinion is every bit as valuable as mine, but it is no more valuable.